Athletes searching for a performance edge often attempt to lose weight with the hope that their newfound body composition will improve their strength and speed. Unfortunately, many athletes try to achieve this goal in ways that may jeopardize performance and immune function. Before you drop that pile of pasta onto your plate, make sure it accompanies a portion of lean protein, such as chicken or fish. A balanced diet that includes a slightly higher protein intake at each meal will lead to greater calorie loss by means of digestion. Plus, when protein is paired with healthy fat and fiber-rich fruits and vegetables, blood sugar will stabilize. As a result, you will feel fuller longer. Log your food intake for a week. 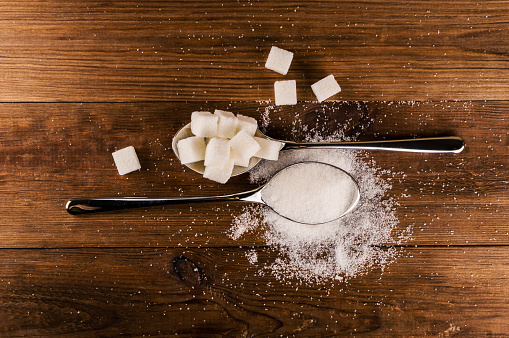 You may be consuming more added sugar than you think. Are you eating canned fruit, granola bars, sweetened cereal, or drinking fruit juice? Are you using sugary condiments such as ketchup or maple syrup? These foods are not the best choice for the weight conscious athlete, as they contain unnecessary sugar/calories that often result in fat storage. Be sure to eliminate the added sugar in your diet, not the essential nutrients typically consumed at mealtime. Initially, it is far more important to discover a correlation between when and why you eat each day, not how many calories you’ve consumed. For most athletes, weight loss has more to do with psychology than caloric intake. Emotional eating and improper nutrient timing often make weight loss extremely difficult to accomplish. Together, these habits can lead to poor satiety and a drop in blood sugar each day, not to mention a gradual decrease in metabolism over time. By embracing behavior and habit change, you will be able to experience long-term success without the added stress of calorie counting. Timing is everything. Avoid dramatic changes in weight and body composition during the peak of your season. Depending on your sport, a change in composition could alter your speed, strength, swing and body alignment. Something that is fine-tuned for years is too risky to change in the midst of competition. Gradually alter your nutrition in the off-season or when your training demands are the lowest. Recovery nutrition is one of the most important meals of the day for an athlete. Refueling within 30 to 60 minutes after exercise is critical. Proper refueling can reduce body fat and yet maintain lean mass while speeding recovery. Within that brief period post-exercise, your cells are able to use nutrients as fuel instead of storing them — not to mention that it will be much easier to control consumption at your next meal if you aren’t famished after a tough workout. Stepping on the scale each day is the least effective way for an athlete to track weight loss while training. Changes in hydration status, glycogen storage, menstrual cycle patterns and bowel movements can result in drastically different numbers on the scale from day to day. This inaccurate reflection of weight may cause you to experience a false sense of failure and disappointment. Weight Loss: Can You Do It With Exercise Alone?